Every individual has the power to make a positive impact on the world they live in. You can become an active part of Girls Riders Organization today. 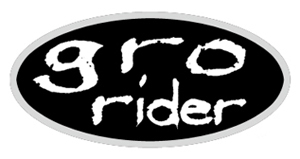 GRO Riders Members are girls of all ages that ride and want to build opportunities for girls in action sports and promote GRO’s mission through their own communities. GRO is a community for girls, created by girls. GRO is You! Together we inspire, educate and support girls (of all ages) to be confident leaders of positive change in the community around them. GRO Riders work either individually or as part of a GRO Crew to represent and expand GRO’s work and mission through their efforts in communities across the country. Receive members only GRO Rider patch and stickers. A network of GRO Crews and other GRO Riders across the country. The ability to join or start a local GRO Crew. A subscription to GRO Riders only newsletter. Members-only coupons and special offers. Committed resources and support from GRO. The knowledge that you are a true supporter of GRO. If you are under 18, you will need your parent or guardian’s permission. There is an annual membership fee of $40, but no girl will be denied membership in GRO for financial reasons. Many girls belong to crews, while others join as individuals. It is up to you. If you learn only one thing in your time with GRO, let it be that you are capable beyond your imagination. Change is inevitable. Growth is optional. GRO your world.